Which 照片 由 David LaChapelle is better? Which single cover do 你 like most? Which song makes 你 want to get up and start jumping? Where were 你 when 你 first heard No Doubt? Which songs are about Gwen's relationship with Tony? There are six B-Sides and three outtakes from the Return Of Saturn recording sessions included in this collection. The band had found themselves 写作 some of the strongest material of their career and, in turn, yielded far too many songs for one record. In an effort to best 显示 the full range of their writing, certain tracks were left behind. Some were eventually released as B-Sides. For the band, it was a joy to rediscover these tracks for this collection, many for the first time since the original sessions. CraveOnline catches up with No Doubt's flamboyantly awesome stickman. No Doubt bio with 链接 to amazing videos. 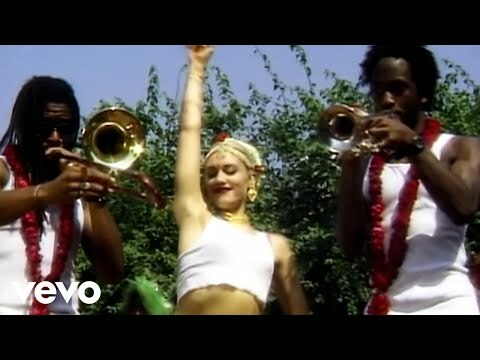 a video 增加: No Doubt - Excuse Me Mr.
Gwen had a 7 年 romance with band member, Adrian Young. True 或者 false? For sale for a great cause! No Doubt stuff! !